While settlements are a deeply contentious element of the Israeli-Palestinian conflict, most are located west of the Israel-West Bank security barrier constructed close to the Green Line after the Second Intifada. The remaining 110,000 Israelis constitute just under 20 percent of all settlers and only 4.5 percent of the West Bank population east of the barrier. Because areas are the most likely to become part of a future Palestinian state, Israel should freeze building in isolated settlements beyond the barrier. Continued construction must remain confined to already built-up areas west of the security barrier. Most settlers live in what are called the “settlement blocs.” These are areas that have a high number of Jewish settlements. The three main blocs are Ariel in the north, Ma’ale Adumim near Jerusalem, and Gush Etzion in the southern West Bank. Other settlements are outside of these blocs. Settlements are authorized by the Israeli government. Some were retroactively authorized, meaning they were initially built illegally but later recognized by the Israeli military. By contrast, outposts are illegally built Israeli villages which have not been recognized or authorized by the Israeli government. 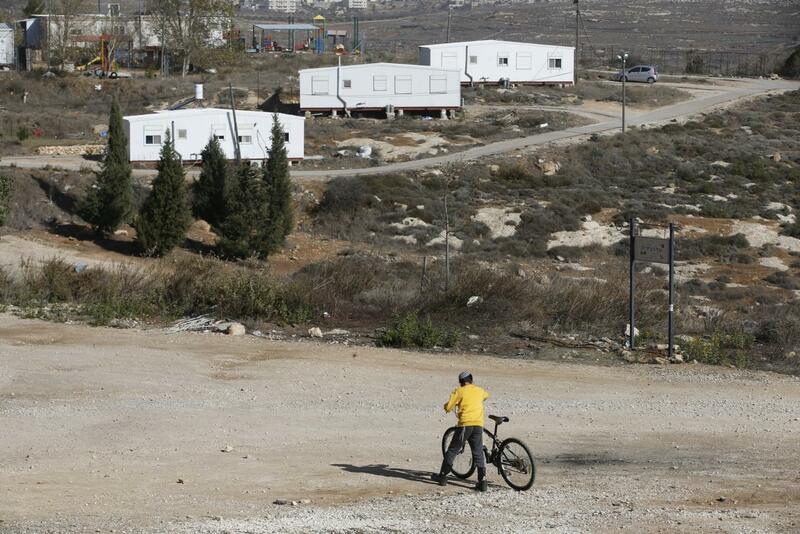 In the past, Israel’s High Court has ordered some outposts evacuated and razed, including Amona and Migron. According to Peace Now, a left-wing organization that tracks settlement growth, there are 97 Israeli outposts in the West Bank. About 30 percent of the residents in West Bank settlements outside the major blocs would evacuate for compensation even if there were no peace deal with the Palestinians, a new survey found. The survey also found that nearly 50 percent of the 100,000 settlers living in areas likely to become part of a Palestinian state under a peace agreement would voluntarily evacuate after an agreement, while 40 percent would not. Ha'aretz: Explained: How Big an Obstacle Are Israeli Settlements to Peace?